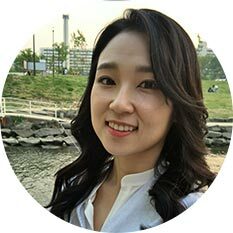 About Hyemi Shin is a lecturer in strategic management and responsible business at Newcastle Business School. For the last seven years, she has built her career as a strategic management researcher and lecturer in the field of corporate social responsibility (CSR) and sustainability. Under the supervision of Professors Marie-Laure Djelic and Charles Cho, she completed her PhD in Management at ESSEC Business School in France on January 22, 2016. Her dissertation (“Multi-Level Dynamics in the Emergence and Evolution of the CSR Field: From Transnational CSR Governance to CSR Professionals in South Korea”) focuses on the emergence and evolution of CSR on a global and local level from an institutional and multi-level perspective. Using a qualitative case study approach, she explored the CSR field in South Korea from the global and “macro” social dynamics of transnational governance to the more “micro” dynamics self-presentation strategy and “face games” played by CSR professionals. In doing so, my dissertation sketches a more ambitious project of theorizing the long-term and multilevel dynamics underlying CSR institutionalization. Her research focuses on the understanding of the business and society interface beyond the management field by using various perspectives from the political science, the sociological and the accounting literature as well as various management theories. She has multi-culture nature. Proposition of common research in GETM3 She is originally from South Korea, but spent one year as an exchange student in University of California, Irvine, in the US during her undergraduate, seven years as a master and doctorate student/ associate lecturer at ESSEC Business School in France prior to her career at Northumbria University in the UK. 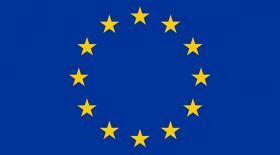 Hence, such multicultural experiences are one of her major assets and can contribute to building a bridge among researchers between EU and Korean partners.